No, that’s not a teddy bear – it’s a Zuchon! 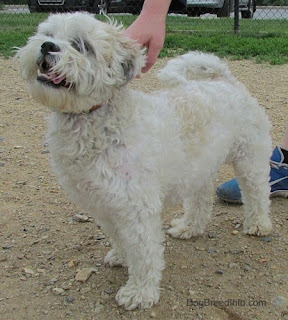 A non-shedding, designer dog breed, the Zuchon is a mix of Shih Tzu and Bichon Frise. 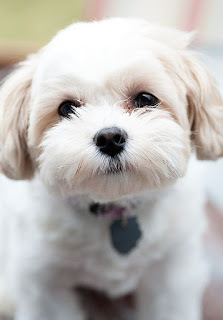 This breed is also known by the names of Shichon and Teddy Bear Zuchon . No matter what you call it, this dog will melt your heart and make a wonderful addition to your family. Because he gets along with everyone, there isn’t a lifestyle this dog won’t fit into. They rarely bark, are hypo-allergenic, love kids and other animals and can be active or laid back. 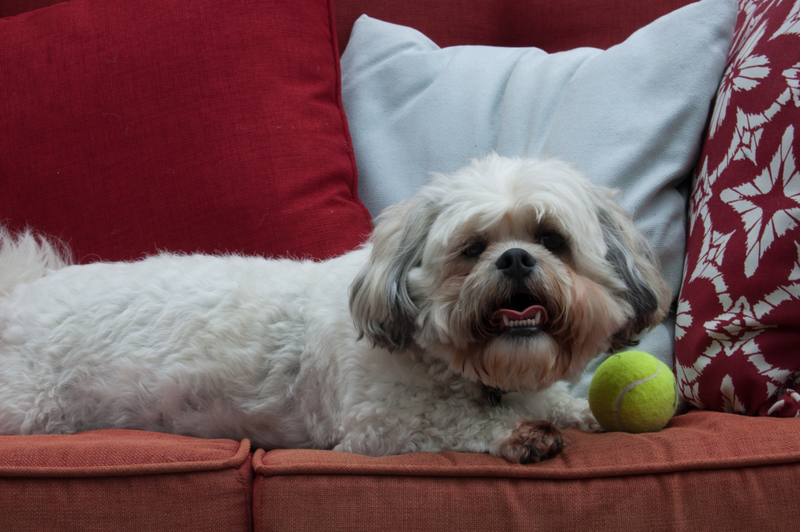 Boasting a happy disposition and a passion for playtime, the Zuchon will be a loving companion for many years to come. Please read on to learn more about this hybrid breed. The Zuchon is also known as a Shichon, teddy bear dog, or fuzzy wuzzy puppy. They reach an average height of 9-12 inches from the shoulder, and a weight of 8-25 pounds fully grown. 'Dog Breed Info' says the Zuchon is a dog "known for his endearing face, large expressive eyes, and his soft teddy-bear coat." The Zuchon usually has a longer coat that does not shed very much, if at all. This longer coat may lead to more time for maintenance and grooming. As hypoallergenic dogs, Zuchons are generally more suitable for homes with allergy problems amongst the inhabitants, although allergic reactions may still occur. This toy dog is said to have a "great" personality, and it is playful, lively and well-mannered. They can be a bit stubborn, but when they are trained well, they are a good family pet. They are easily trained. The Zuchon is a well-mannered dog known to be social, happy, and gentle. They become devoted to their families but need much attention and do not do well when left alone for long periods of time. They are good therapy dogs. Sometimes the Zuchon may be stubborn and in need of training. The Zuchon will remain active. They make fairly good watch dogs. When necessary, this dog will bark to alert its family that someone is nearby. This breed is typically good with other pets, especially when socialized at an early age. This dog gets along well with children, but it may be a good idea to socialize this breed at an early age as well as to supervise play time with children to make sure that the dog does not get hurt as a result of its small size. Americans began breeding designer dogs in the 1990s. The Zuchon is a cross between an oriental Shih Tzu and a Mediterranean Bichon Frisé. Although this breed of dog is relatively new, its popularity and fame is growing quickly. The Zuchon is still not thought of as an official breed of dog, only a cross-breed. This may change as the dog is becoming a popular toy dog being classified with all other toy dog purebreds. Organizations that recognise this breed include the American Canine Hybrid Club and the Designer Dogs Kennel Club. Sporting an excellent temperament, you’ll find that your pup is eager to please you. With a lively and spunky personality, Zuchons are known to be well-mannered, making them great with children of all ages and all kinds of animals. Intelligent and affectionate, your pooch is sociable, so be sure to take your pooch to the dog park and around town so he can socialize. Playing and hogging attention is high on their list of priorities, so make sure your dog gets plenty of both. But this breed isn’t all about just fun and games – he will also serve as a watchdog, letting you know when someone is at the door. And this is generally the only time when he will bark. Even though the Zuchon is small, it’s not a yappy dog. An important feature with the Zuchon hybrid breed is its longevity. The average life-expectancy of a Zuchon is around 12–15 years. The Zuchon, like many hybrid breeds, is usually healthy without showing the congenital defects that purebreds can have from inbreeding. However, this is only true if the Zuchon is a first generation dog. When a multi-generation Zuchon is born, the possibility of health issues increases. Some possible defects known to designer dogs include canine hip dysplasia, deafness, epilepsy, and liver disease. High trainability, they are known for their high intelligence and train-ability and are always eager to please their loved ones. They are very responsive to facial expressions and body language, and love nothing more than to spend time close to the people they love. The Zuchon loves to play, so most of his exercise requirements can be met with a game of catch or tug of war. That means he is the ideal roommate for people who live in apartments and condos. But he’ll still need fresh air and visits to the bathroom, so make sure he gets his daily walk and makes a few trips outdoors. A trip to the dog park will also help tire him out. This is an intuitive breed, so the Zuchon will match your energy level. Whether you want to get outside for a walk or want to relax on the couch, the Zuchon will be by your side, content to do whatever it is you want to do. Very little grooming is needed if their hair is kept in a low maintenance "teddy bear cut” or "puppy cut" every 3 months. It best represents the Teddy Bear Zuchons look. Regular combing is recommended it is great for bonding and mat prevention. Regular nail trims and eye trims are all that’s required between trims. As with all dogs regular teeth cleaning and removal of tarter is important for overall health. Being so patient, cuddly and gentle in temperament they are excellent with children. They pay attention to children of all ages and love to interact, make eye contact and play with them creating uniquely special bonds with them to remember for a lifetime. Teddy Bear Zuchons are calm, gentle, lovable and cuddly, and because of this, they were originally bred as companions for handicapped children who needed a cuddly and squeezable dog that would gladly handle hours of snuggling without becoming irritated or nippy. They are excellent with other pets of various types. Is the Zuchon the Right Breed for you? Moderately Easy Training: The Zuchon is average when it comes to training. Results will come gradually. 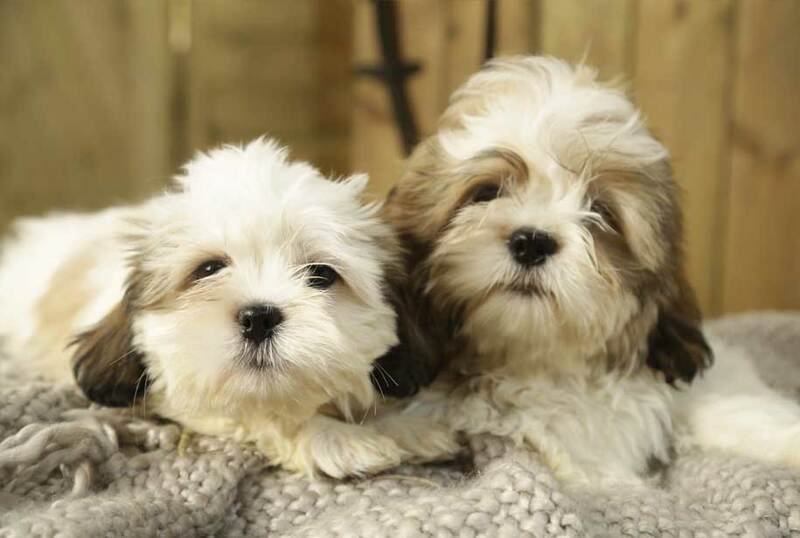 Their fur is hypoallergenic, meaning most individuals will not be allergic to them as they may be to other breeds, making them great companions for allergy sufferers. Their hair is easy to groom, and they love baths, gladly jumping in when they are asked to.